Hooah!! 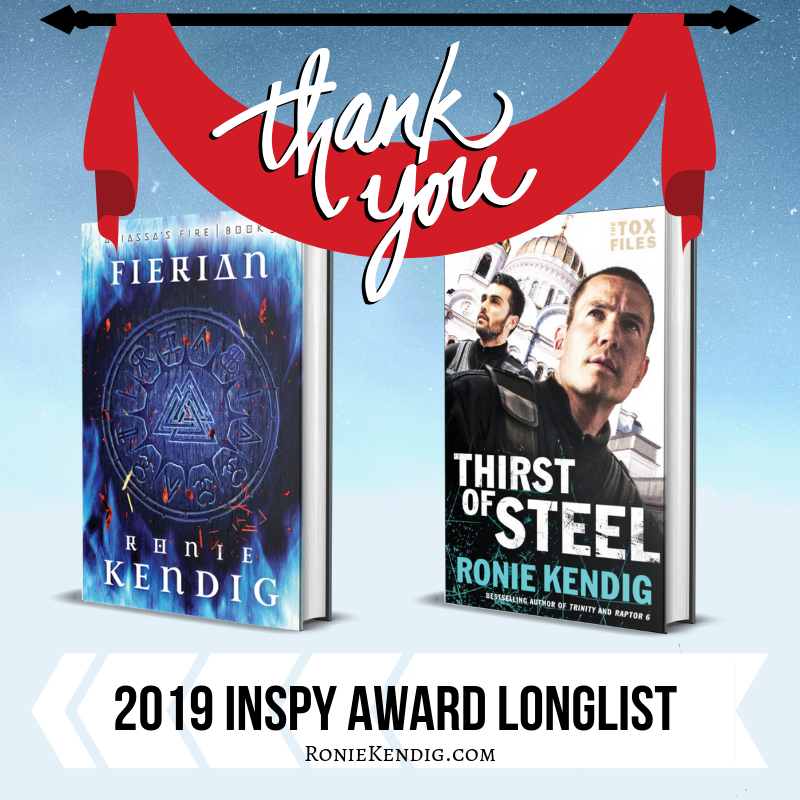 So honored and grateful for those of you who voted FIERIAN and THIRST OF STEEL into the 2019 INSPY AWARD LONGISTS!!! Thank you so much, you amazing, beautiful readers. It’s such an honor to share the categories with incredible authors and friends!! An honor that is well deserved, Ronie. Super proud of you and hoping your name will be called in both categories.